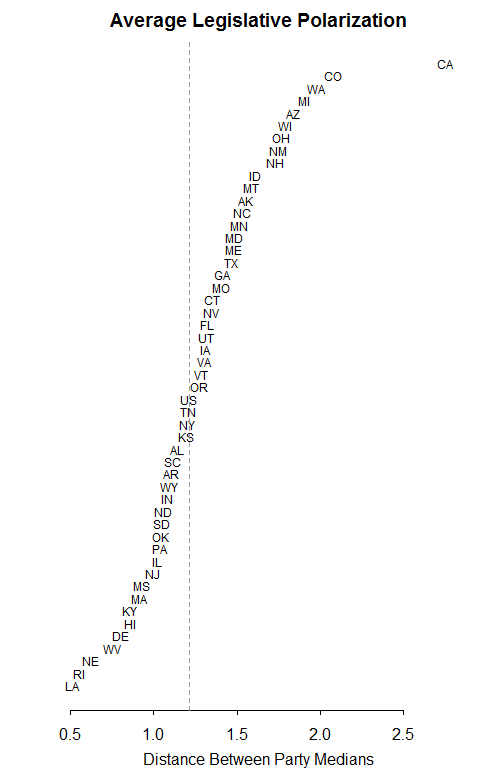 I just posted an updated visualization of state legislative polarization over at the Measuring American Legislatures blog. Here’s a small version you can look at, but see the full post and explanation here. Look at California at the top with massive polarization, and Louisiana and Rhode Island at the bottom with relatively small amounts of partisan division.